The Little Big Yarn Shop where Wool Is Not Enough, 1683 East 13th Ave. Vancouver, a short walk South of the Commercial Broadway skytrain station, on the NW corner of Commercial and 13th Avenue. 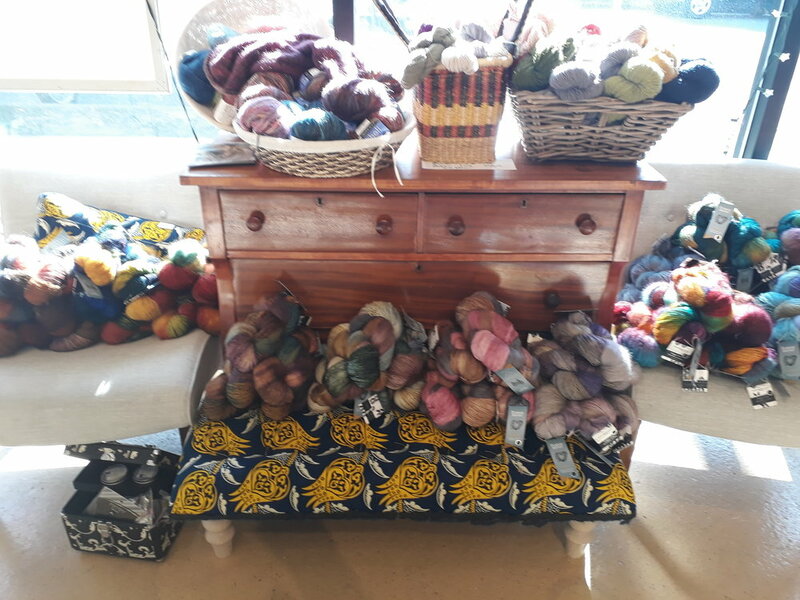 A small fine hand knitting yarn shop. Brands we carry are Berroco, Drops and Handmaiden/Fleece Artist, as well as some Rowan. We will be open all three days of Woolith Fair. Please do not go by my store hours on the website or Google Maps; I will be open extra hours especially for the crawl. All regular priced yarns will be 10% off. Discounts of 30-70% of many yarns, to be posted. All purple yarns to be used for the pay it forward baby hats will be 50% off. Lots of great Deals to be had with clearance yarns. Yarn Crawl Hours: Friday: 11am - 6:30pm; Saturday: 11am - 5:30pm; Sunday: 11am - 4pm.